DePaul School for Hearing and Speech teaches children who are deaf or hard of hearing to listen and speak without sign language. At DePaul School for Hearing and Speech, we celebrate the success of each individual child with hearing loss as he or she transitions to and thrives in the hearing and speaking world. Located in Pittsburgh, PA, DePaul School is the only Listening and Spoken Language (LSL) school in the western Pennsylvania, Ohio and West Virginia tri-state area. DePaul School works with children from birth through 8th grade to prepare them for a world of sound. Our goal for every student is for them to transition to their neighborhood schools alongside their peers with typical hearing. Most of our students transition by kindergarten! Has your child been recently diagnosed with hearing loss? The first few weeks after a diagnosis can be overwhelming. There is a lot to learn, but know that there are caring, experienced and knowledgeable professionals ready to help you with all of your questions. 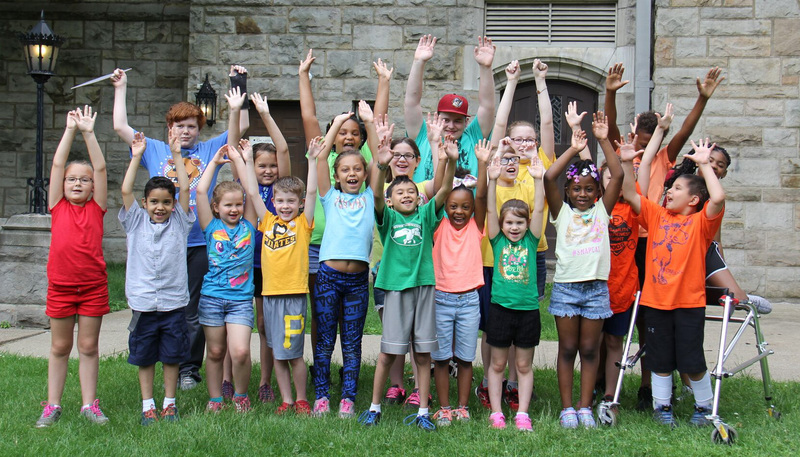 Founded in 1908 by the Catholic Diocese of Pittsburgh and the Sisters of Charity of Seton Hill, DePaul School for Hearing and Speech has been providing quality Listening and Spoken Language (LSL) education for children with hearing loss for over 100 years. The goal then, as it is now, was to prepare each student for success in our hearing and speaking world. At DePaul School, we understand and closely follow up-to-date methodologies in technology and education, constantly realigning our programs to ensure each child’s success. We take a comprehensive approach to nurturing young children who are deaf or hard of hearing and their families. As their child’s first and most important teachers, parents hold the key to unlocking their child’s future. DePaul School for Hearing and Speech has been providing children who are deaf or hard of hearing with a full complement of supportive services since its inception in 1908. DePaul School for Hearing & Speech has many collaborative partnerships and affiliations. Thanks to generous donors, DePaul has been able to educate children who are deaf or hard of hearing for over 100 years. Such an amazing school. 5 Stars isn’t enough. My niece just finished her last year there and they taught her so much. The staff is so awesome and so patient. I would recommend this school to ANYBODY around the world with a hearing or speech issue. Awesome school with an awesome staff! My daughter loves going to school in the morning and her speech has improved tremendously since starting at DePaul. Can’t say enough great things about this place. I could not have made it this far without your education and teaching in communication. It is up to each individual to use this privilege for their journey in life. It requires attentive manner and awareness to keep using this gift. Peace. This school is amazing! They develop the children's listening and spoken language skills and encourage them to join their community school when they are ready!! Love love love!